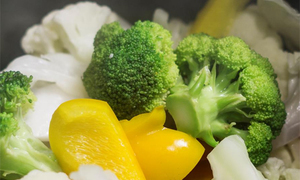 Some part of fruit peels, stalks and other 'unused' parts can be turned into mouthwatering dishes. 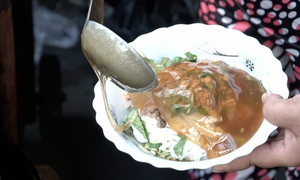 Pomelo sweet soup is a dessert favored by many all over Vietnam. 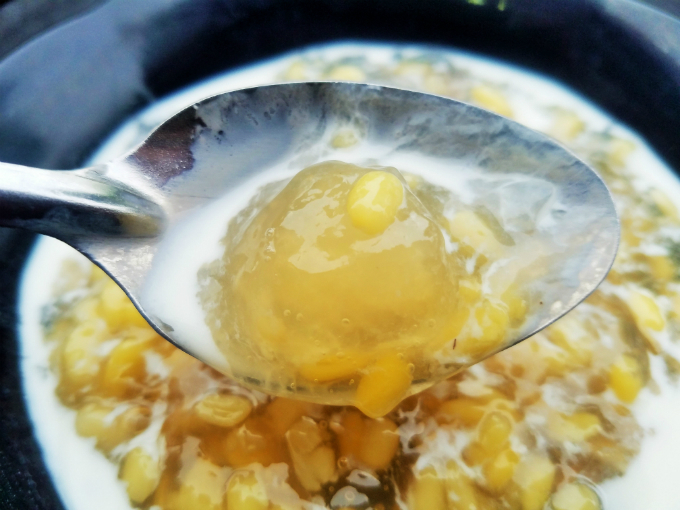 This typical Vietnamese sweet soup can easily chill a day with its gentle touch of sugar and the sticky texture of the components. 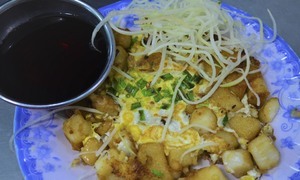 Many outsiders and local kitchen amateurs, however, may not be aware that the main ingredient of this dish is a part that is usually discarded. The soft, white cotton-like underbelly of the pomelo skin. Cooks dissect and slice the white skin into pieces, soak them in salt water until they get fully absorbed, then squeeze all the bitterness away with the water. The skin is later cooked with sugar and then with cooked green beans and coconut milk. The lumpy pomelo skin with sweet mung bean soup and sweetened coconut milk makes for a tasty spoonful. 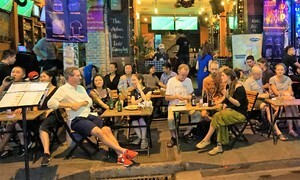 Jackfruit rags are usually thrown away once the sharp, thick, spiky skin of the jackfruit is cut, but these thin, soft strands can be cooked as a dessert or a main course dish. The whitish strands can be collected, salted and placed in compressed jars to make a pickle that goes well with rice. 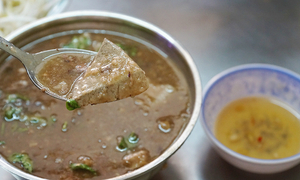 The pickle also serves as a component of pork soup or braised fish. 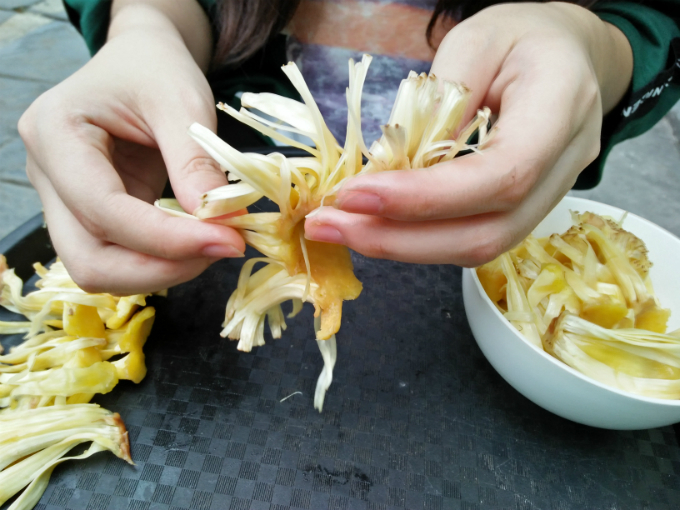 Almost every part of a jackfruit is edible, although people mostly eat its sweet flesh. 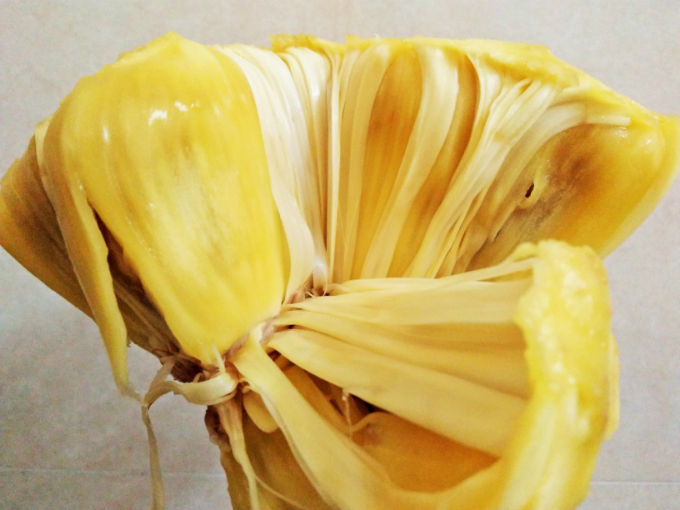 In several cultures raw jackfruit is used to make curries and other dishes. The jackfruit seed, which is also thrown way very often, care too versatile a culinary resource to be alienated from the kitchen. 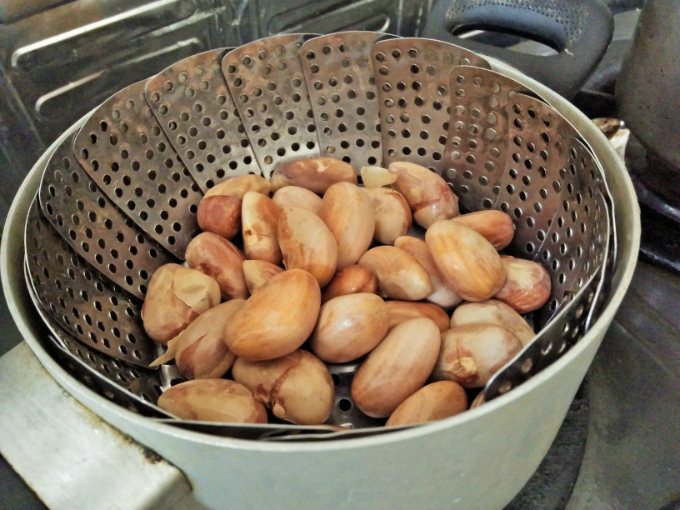 Jackfruit seeds can play star roles in a hot, substitute peanuts in steamed sticky rice or be a savior snack to satiate your late afternoon craves. 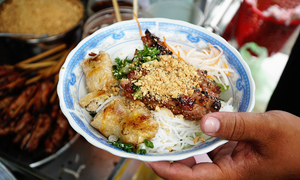 Vietnamese cuisine uses many parts of the banana - the fruit and the flowers, and even the "petals" that cover the flowers. Banana leaves are used pack food, like sticky rice and other dishes. However not many people know that the white, core stalk of the plant is also a nutritious vegetable. 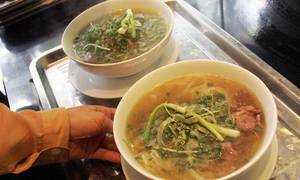 The stalk is a regular part of leafy salads served with a bowl of Vietnamese noodle soup. An unusal use is a bananal stalk smoothie - a health drink made with yoghurt and seasoned with salt. 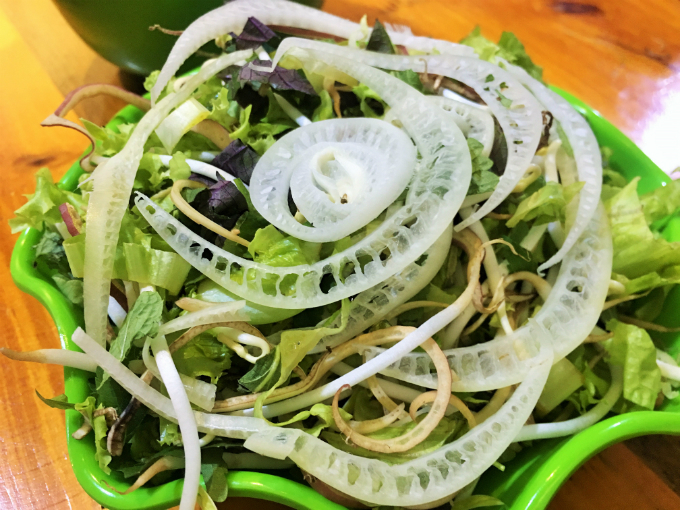 Banana stalk slices top a typical Vietnamese greens sand sprouts salad.